He was my constant friend for 22 years. My condolences. Pets become a part of us through shared history, and the loss is so hard. 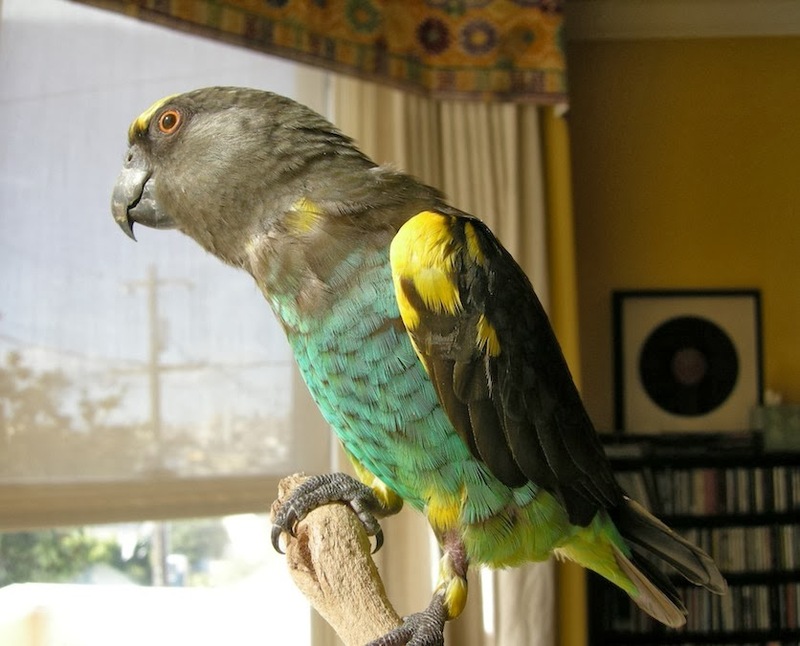 For 24 years, Sundance - a Sun Conure - was our little girl. Everyday, singing, dancing, screaming and sleeping...loved baths, kumquats, and chiles. Danced to Madonnas Erotica! We lost her 2 years ago, devastating. I know your sadness...she is now in our garden, outside the window where she watched all the other birds flit...resting beneath a hydrangea within a bed of lavender, sprinkled with Myrrh and frankincense oils wrapped in a beautiful embroidered hankie. I think of her when the flowers bloom, and everyday! We found a nice spot in the garden for my little pal. I planted some Amorphophallus "devil's tongue" around there. Seemed appropriate. He really was a devil. I am deeply sorry!!! This little girl will be the most beautiful flower in your garden. FOREVER!! I'm sorry for your loss — he was beautiful! I am so sorry for you. That is really a great photo, he had such beautiful coloring. Dear Lynne, I am so sorry that you lost your beautiful and loyal friend. 22 years with him created so many lovely memories. All of us who have loving pets know how you feel. Thanks Gina, and everyone, for your sympathies. It is truly amazing the amount of space such a tiny creature can take up in one's heart. My sincerest condolences for the loss of your feathered son. So sorry to hear that. I know how hard this is to deal with.